“It’s better to dig a five-dollar hole for a fifty-cent plant than to dig a fifty-cent hole for a five-dollar plant.” goes the old garden adage and how true that is. A good plant won’t grow in poor soil, but a poor plant will grow in good soil. 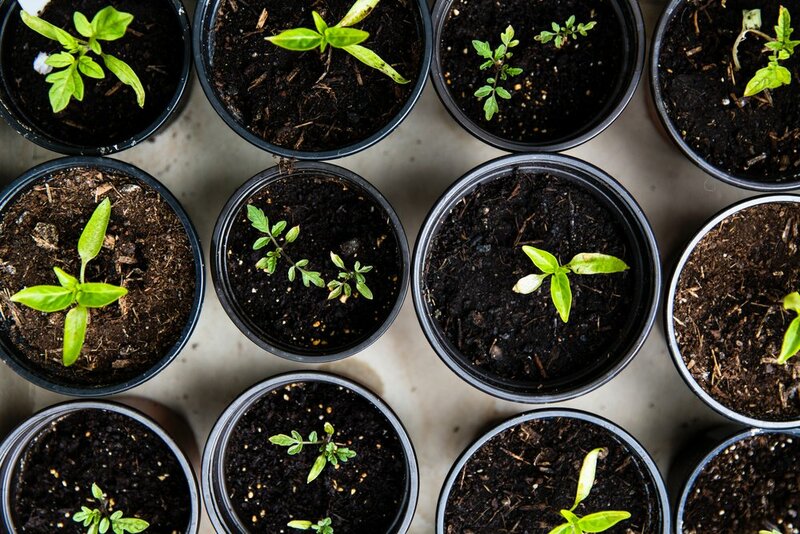 Spring means planting and after a long winter, nothing is more exciting than preparing your vegetable garden or potting pansies to liven up your front porch. The key to a healthy and thriving garden is a rich, nutritious soil with the right mix of organic amendments. Organic amendments vary depending on the need of the soil and the plant. For example, the soil pH may need fixing, or certain plants like roses, azaleas or tomatoes require specific minerals. Fish, blood or bone meal, charcoal, kelp, humic acids, earthworm castings are some. Or, you can simply supplement your soil with compost, or decomposed organic matter, the most important and beneficial soil amendment. Compost builds soil structure and improves drainage; it helps with water/nutrient retention and air exchange; it introduces beneficial biology; it is vital for healthy roots, and healthy roots produce healthy plants. Using compost made from your decomposed kitchen waste is gratifying, but if you haven’t started composting yet, you can buy good quality compost from a garden center. There are many different types of compost like manure, worm castings or decomposed leaf and wood litter. All are good, just make sure the compost is 3-year finished. Dig the hole twice the diameter of the root ball of the tree, shrub or plant and then mix the existing soil with the amendments. Don’t plant too deep – “plant it high it won’t die, plant it low, it won’t grow.” With extra soil, make a well around the plant to hold water. It’s easy to just throw the plants in the ground without much thought to the soil, but by taking the time to improve your soil, you will get a higher yield from your vegetables, more blooms on your flowers and a better start for your shrubs or trees. Last year, one heirloom tomato plant produced more than 100 tomatoes in my raised bed garden filled with super soil. So, go play in the dirt with some compost and watch your plants thrive!